We're happy to hear your dog is currently eating fresh, whole foods as they should be! We began by home-cooking meals for our dogs as well. When home-cooking, there are a couple aspects of a fresh diet that can provide hurdles for pet parents: balance, and portions. Everything your dog eats should be balanced by a Veterinary Nutritionist. If you already have a Veterinary Nutritionist-balanced recipe, then you're on the right track! If you don't, your pup may be missing out on vital nutrients with every meal. Additionally, it can be challenging to ensure your dog is receiving the appropriate calories per meal. More than anything though, it's a lot of work to get fresh ingredients every week, and prepare them fresh! 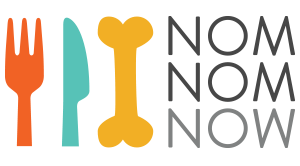 Here at NomNomNow, we want all dogs to benefit from freshly cooked meals, and to make it as easy as possible on you, the pet parent.